It looks like we've really hit our homeschooling stride this year. Apart from when we initially removed Amber from school and she was so relieved, this has been her favorite school year start. We would like the remainder of the school years to be equally as happy and productive. To that end we've spent some time discussing what has made this year so different. First, Amber has not felt well for several years now and this year we finally have a better handle on her illness along with multiple treatment options. 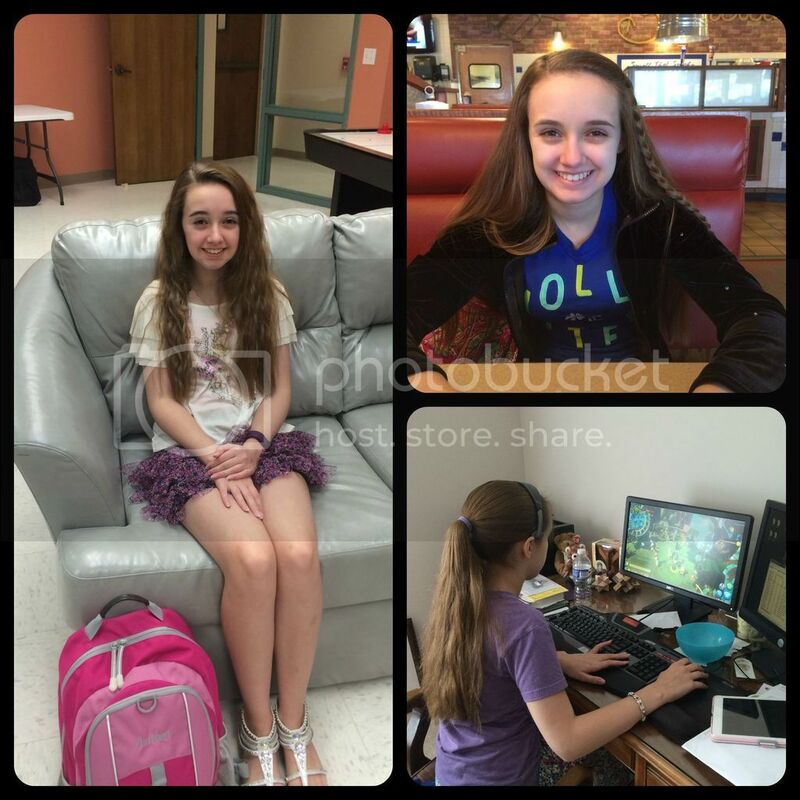 We also make adjustments to Amber's school schedule, assignments, and expectations based on her daily health. 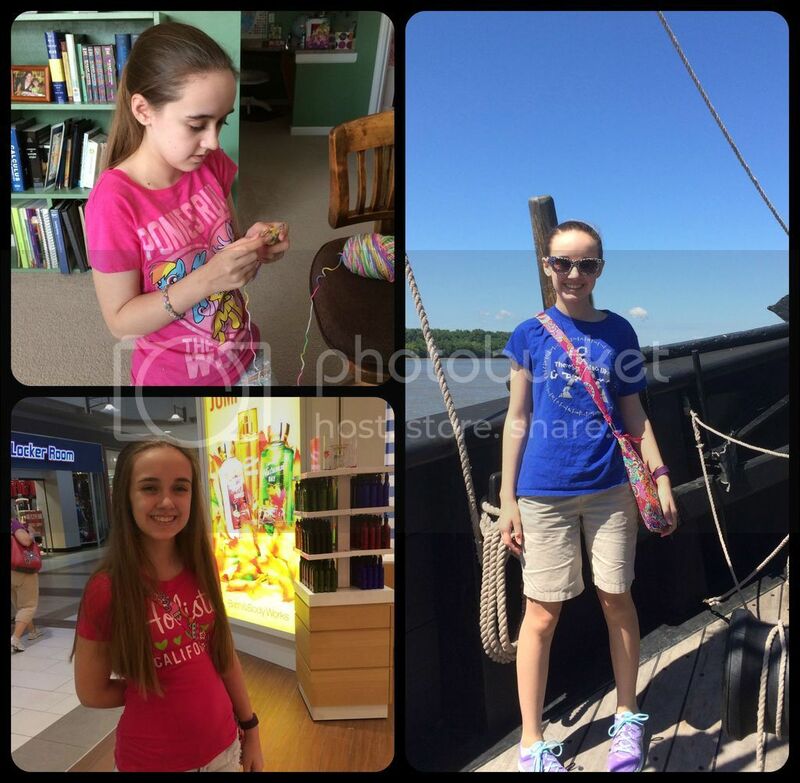 Overall, Amber is learning not to be ruled by her chronic illness, but continue on fun field trips and outings knowing she will need to rest. Special days with Grandma; Learning when to use her precious energy for fun; Beloved art classes. 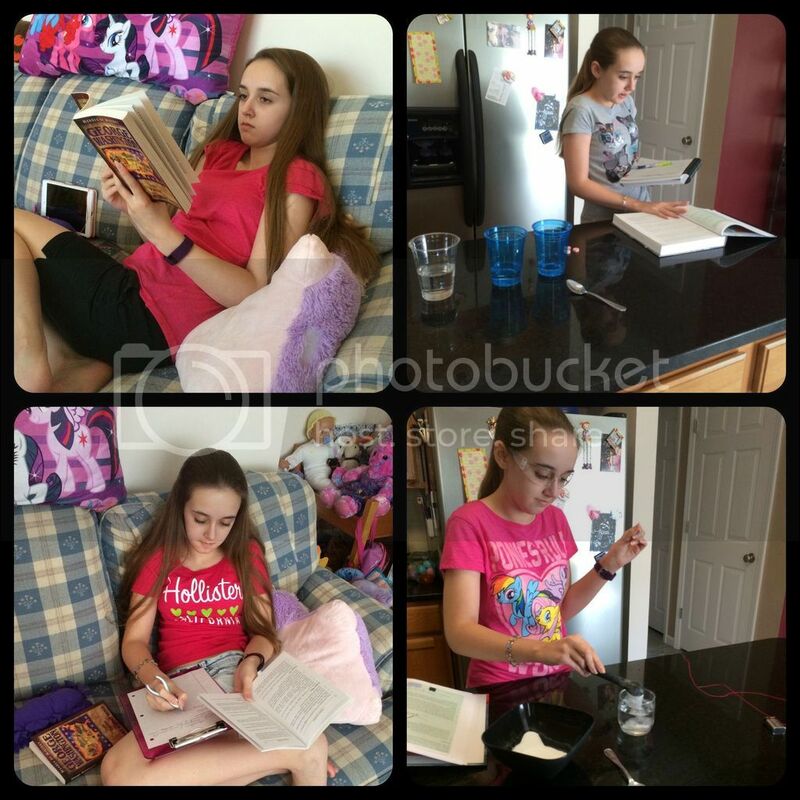 Second, although Amber is in eighth grade and at a high school level for all subjects, we've made outside activities and social events a priority over book work most days. Amber thrives on being around other people, yet the initial phases of her illness threw us for such a loop it was all we could do to survive. Amber has been much happier and willing to push through tiredness in order to complete lessons when she knows there are other activities coming up. I've also been willing to let go of many hours I had hoped we could use for core hours in order for Amber to attend her activities. 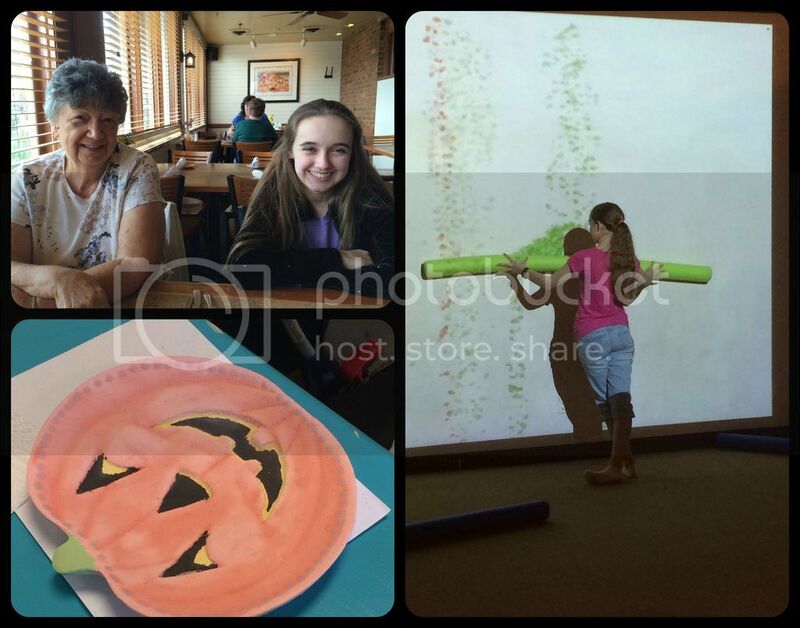 Homeschool co-op, lunch with mom, and an afternoon of video games. All bring smiles. Third, I've also sought Amber's input more than ever on her curriculum and subjects this year. We've always taken into account her interests; that's how she ended up taking Latin for 3 years and then switched to German. Still when planning this school year we talked about what her favorite parts of other curriculum have been and searched out products which included the best features while meeting my standards. Fourth, while Amber knows some parts of school will not be all fun and games, she greatly appreciates when I allow her to skip the types of assignments which are not as successful for her learning style or when she can demonstrate her understanding with another less tedious method. This flexibility goes a long way towards fostering a love of learning and not a dread of another boring assignment. I've also given her a little more responsibility and control in her learning as she starts earning high school credit. Taking the lead on her science experiments this year; working on history where she's comfortable. However, I believe the core reason this year has been a positive and happy start is simply communication and compromise. We have learned to talk about problems or difficulties the other may not have noticed (mostly me being unobservant). Amber is such a people pleaser that it took some heart felt conversations to convince her she could voice her school concerns and expect some change to occur. We've both also learned to compromise on solutions to educational and schedule difficulties. I have some pretty rigorous standards which I've needed to find new ways of achieving. In return, she needed to learn I can't tweak every facet of school. This year has turned out to be the best beginning of high school level work that we could have hoped to achieve. Not only are we both enjoying the academic lessons, but we have plenty of time for fun! Demonstrating needling knitting, which she once thought too difficult for her loose hands; An outdoor field trip; Mall shopping on her own power. How wonderful! I think you all are doing a marvelous job.